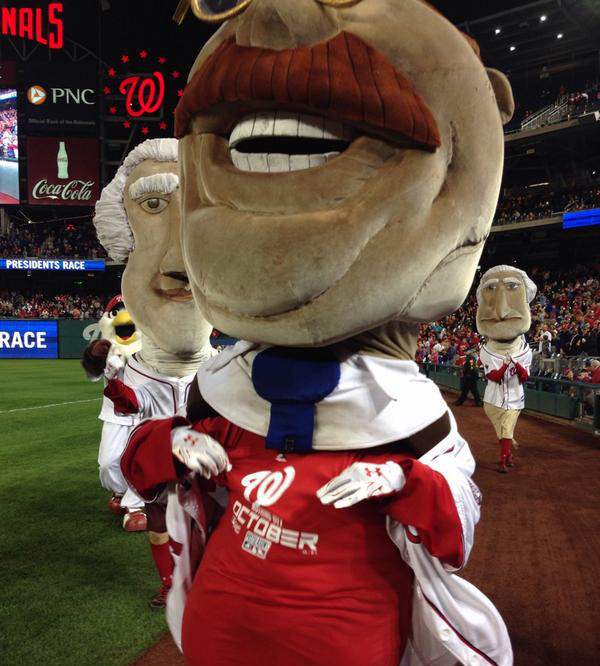 Abe Lincoln | Let Teddy Win! 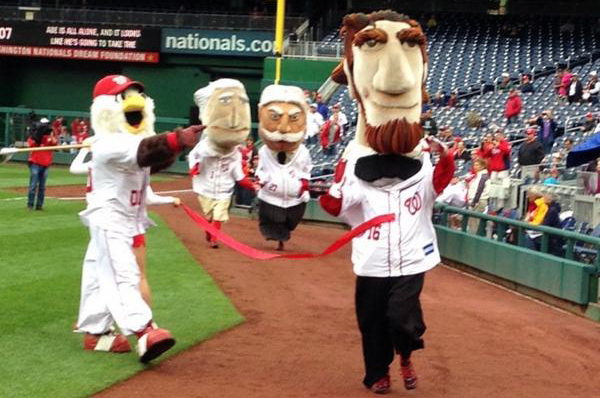 Whatever was bothering the Great Emancipator has clearly left the building. 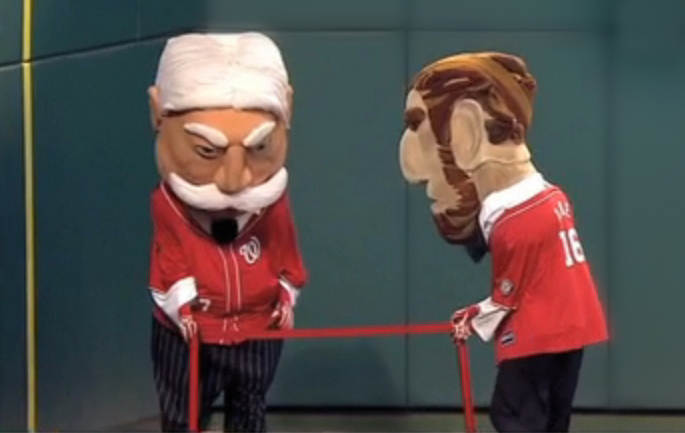 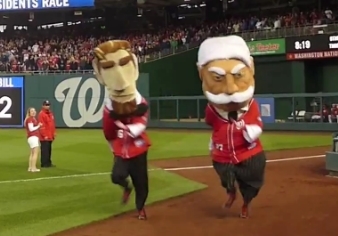 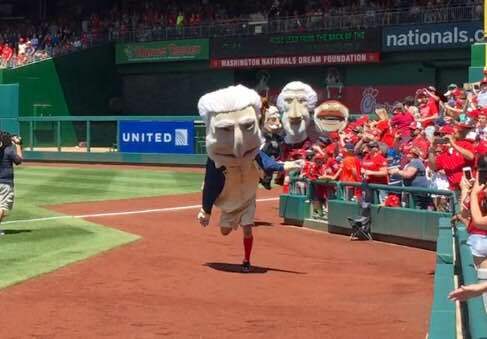 Once-dominant racing president Abraham Lincoln didn’t win his first race at Nationals Park until May 11 of this season, but since then, the 16th president has been hot. 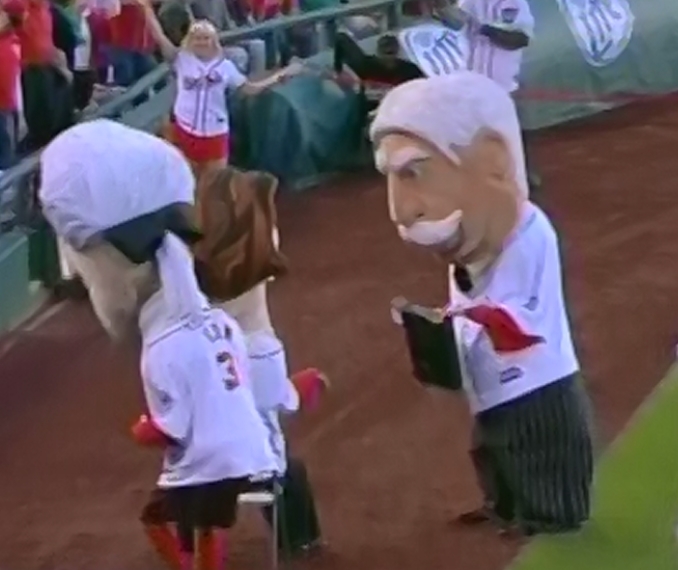 In a scene reminiscent of his glory years as Nationals Park’s resident speedster, Lincoln began Thursday night’s race seated in a folding chair on the warning track, reading while the race began. 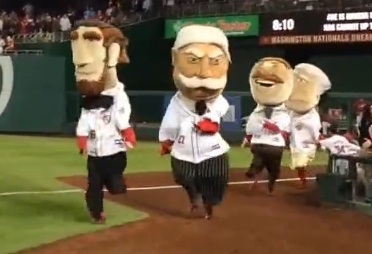 After giving the founding fathers a good head start, Honest Abe took off and lapped the field, then did a victory dance to celebrate his fourth win of the season.